GSO Capital Partners, Blackstone Group's debt arm, which took control of Eircom along with other lenders after buying its debt, has taken a chunk of J. Crew's debt. It is hoping for a profitable trade that could also give the US fashion retailer more time to stave off bankruptcy, people familiar with the matter said. Michelle Obama is famously a fan of J. 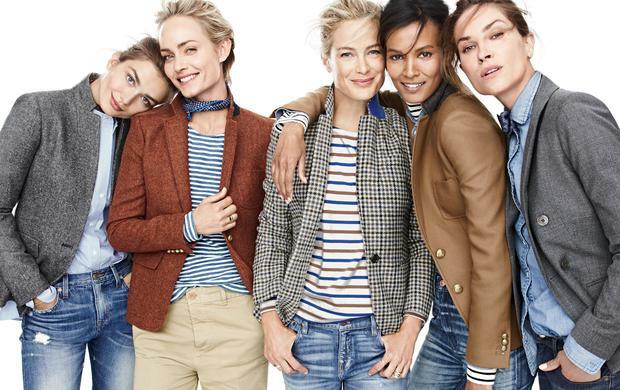 Crew, helping its ballet flats and cashmere cardigans become staples of middle-class US wardrobes, but it has been hit with declining sales as it struggles to keep abreast of changing tastes and faces fierce competition from cheaper online retailers. It owes $2.1bn (€1.9bn) of debt. Most pressing is $567m (€519m) in unsecured bonds coming due in 2019. To cut that burden, J. Crew is trying to slash more than half the bonds' value by placing the intellectual property of its eponymous brand into a new company, but holders of other debt are resisting the move. J. Crew has said it will then offer to exchange the bonds, which are backed by no collateral, for those from the new company backed by the brand. The deal would see bondholders also take an equity stake. A slew of indebted retailers are struggling to fight off online rivals. "I imagine a lot of companies that have the ability to do this in their credit agreements are talking to their attorneys and thinking about creative options," Moody's Investors Service analyst Raya Sokolyanska said. But holders of a $1.53bn loan to J. Crew, including investment firms Eaton Vance Management and Highland Capital Management, have told the company that its bond exchange would remove the intellectual property as their collateral, and they would consider that a default, the sources said. J. Crew will go to court to prevent them from thwarting the bond exchange, but bondholders are also holding out for a better exchange offer, according to the company's public disclosures. To try to resolve the impasse and increase its own chances of a profitable outcome, GSO, which owns some of J. Crew's bonds, has been buying chunks of the company's loan in the secondary trading market, according to the sources, who requested anonymity because the trade is not public. GSO wants to amass a controlling position in the loan, which would allow it to give J. Crew a waiver to carve out its intellectual property without risk of any legal challenge, the sources said. GSO is working with other creditors, including Anchorage Capital, which replaced Blackstone as the biggest shareholder in Eir, formerly Eircom.